Texas House Speaker Joe Straus said that the House Appropriations Committee or the General Investigating and Ethics Committee should look into the Health and Human Services Commission’s practices for contract oversight. 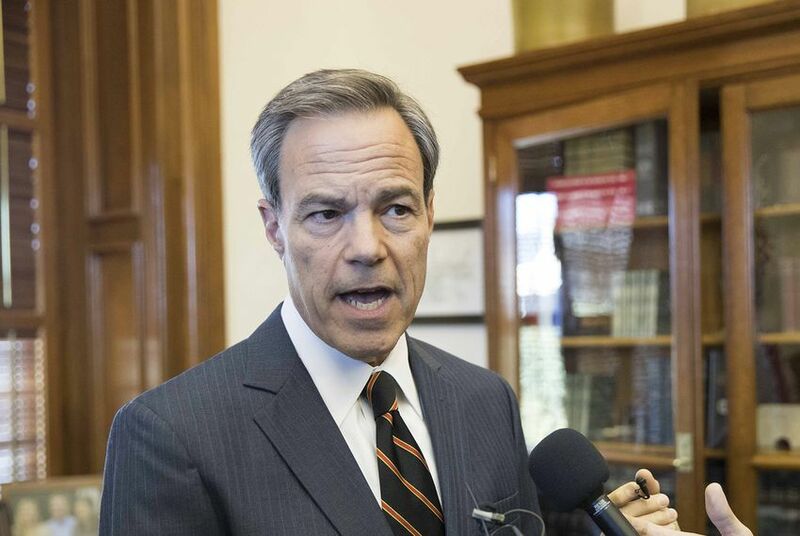 Texas House Speaker Joe Straus is calling on House members to investigate the Texas Health and Human Services Commission after a state audit report revealed mishandling of a contract with a health insurance company. The State Auditor’s Office released a 44-page report this week showing the Health and Human Services Commission allowed Superior HealthPlan, Inc., a health insurance company, to report $29.6 million in bonus and incentive payments paid to medical providers' employees, even though those payments were not allowed under its contract with the state. Straus, a San Antonio Republican, said in a Wednesday news release that the House Appropriations Committee or the General Investigating and Ethics Committee should look into the Health and Human Services Commission’s practices for contract oversight as “taxpayers need to know that their money is being properly managed." State Rep. Sarah Davis, R-West University Place, chair of the House General Investigating & Ethics Committee, said in an email statement that "it's disappointing that the Governor's HHSC is such a poor steward of tax dollars." "This is the second audit that has revealed such impermissible expenditures," Davis said. "Taxpayers can rest assured however, that the House Committee on General Investigating and Ethics will continue to hold these executive agencies accountable, just as we did at the [Texas Alcoholic Beverage Commission]." Auditors also found that the health agency approved Superior’s request to report provider profits as costs without following the approval process contained in the state’s contract with Superior. The insurance company provides the Medicaid STAR, STAR+PLUS, STAR Health and STAR Kids programs to seven service delivery areas in Texas, including the San Antonio area. “By not following the written requirements in its contract with Superior, the Commission weakens its ability to consistently oversee the contract and creates a lack of transparency in its administration of Medicaid managed care programs,” auditors said. Superior disagreed with the audit report findings. "Unfortunately, the auditor gave neither the history nor the proposed language changes any weight or context in the report and instead relied upon its own interpretation of a contractual and regulatory structure in which it does not have day-to-day experience," Superior wrote in its audit response. In the report, Texas Health and Human Services Commission officials agreed to auditors’ recommendations and said they are working to implement changes by Sept. 1, including defining the process Superior will follow to justify pricing, clarifying how bonuses will work and improving procedures for identifying which employees may have exceeded the amount of money allowed for salary and bonus pay. Asked for comment on Straus' call for an investigation, a commission spokesman said the agency was looking at the matter. The health agency has endured other contract troubles before. During the 2017 legislative session, Texas Health and Human Services Commission officials came under fire by legislators over not reporting at least 42 contracts worth $100 million or more to the Legislative Budget Board’s database in a timely manner. Officials said at the time they did not know the contracts hadn’t been reported and blamed the problem on a technological failure. Last year, the State Auditor’s Office also released a scathing audit of one of the agency’s large private contracts with a health insurance company called HealthSpring, which the state paid more than $700 million in fiscal year 2015.